Often, our support department receives this question, Am I being sued? 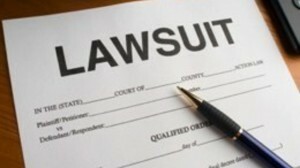 More precisely, the questions is, Am I being sued by a creditor? Unfortunately, more often than not, our response is yes. Hollywood has painted a very theatrical portrayal of it is to be sued. A process server or a sheriff needs to show up to your door, you must sign some paper work, they tell you you’ve been served and dramatic music is playing in the background. In reality, even though the Hollywood portrayal is accurate some of the time, most of the time things are much simpler. The process served just leaves a summons on your front porch or hands it to your neighbor. Better yet, you never have anyone visit your location at all and you receive your summons through the mail. Some want to argue the legitimacy of such service and they free to do so by speaking to the attorney, but even if you win the battle most likely you will lose the war after the creditor or the plaintiff re-serves you properly and tacks on more fees. So the answer to the question of, Am I being sued is often yes, but the important thing to remember is that you need to file an answer to prevent the overall fallout. Of course it is always a good idea to consult an lawyer.